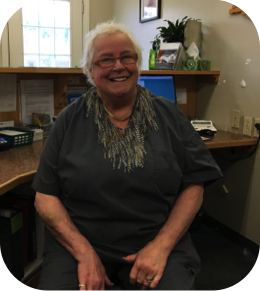 Maria has worked in the veterinary profession since 1973. As an important member of the Stirling Veterinary team, her primary role is receptionist. With a patient, quiet manner, Maria will direct client concerns effectively and efficiently. With a smile, she is one of the first people to greet you upon arrival at the clinic. When a moment allows, Maria enjoys gardening, stained glass, and cooking.